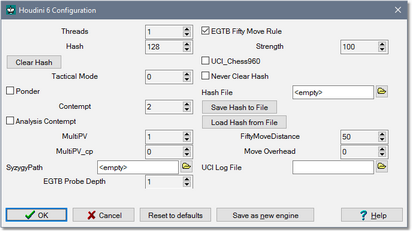 Many engine options can be modified via the configuration window shown by the chess GUI. Below a screen shot of the configuration window in Arena 3.5. Note that some GUIs will hide options that are handled elsewhere in its interface. 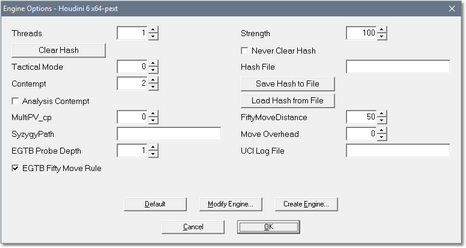 For example, in the second screen shot above the options "Hash", "Ponder", "MultiPV" and "UCI_Chess960" are missing from the configuration window.